It took all day on Wednesday 24 June to install my 50 artworks for this exhibition and I couldn’t have done it without the help of my nephew, Neil Barrie, and husband Jamie McIlwraith. 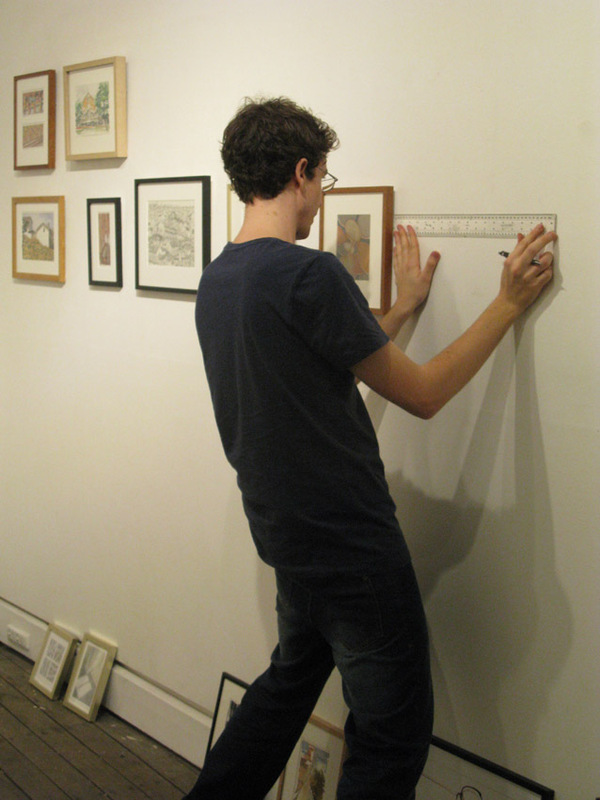 Below is a photograph of Neil as he calculates where to hang artwork on one of the gallery walls, and then the final result. As well as the hung framed artworks I also have a folder with 40 unframed works from $10 – $50 and have a range of greeting cards for sale featuring images from the exhibition. 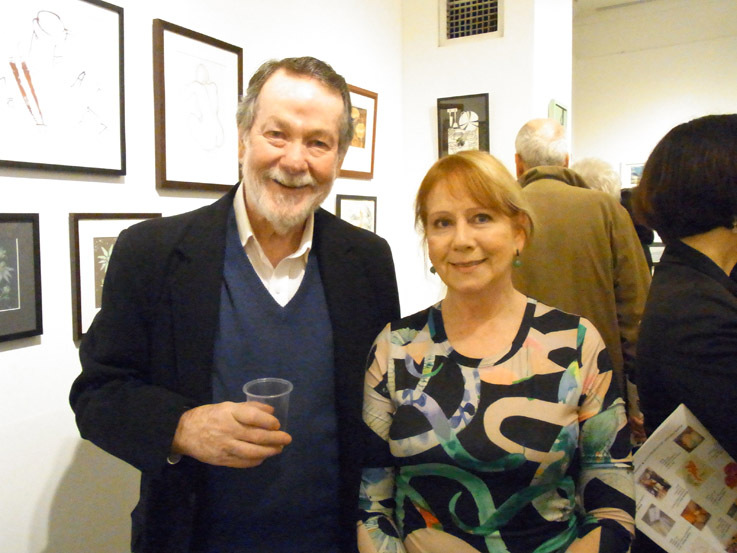 The opening night for this joint retrospective exhibition with fellow artist, Michael Hogan, on Thursday 25 June was a great success despite a cold and rainy Sydney winter night and sold a few artworks so off to a good start. Here is photograph of Michael and I taken on the night. If you click on the link below (or on “Different Approaches 2015” in the black links bar at top of my home page) you will see all the 50 artworks I am showing in the exhibition and my own catalogue with all the image details and prices. 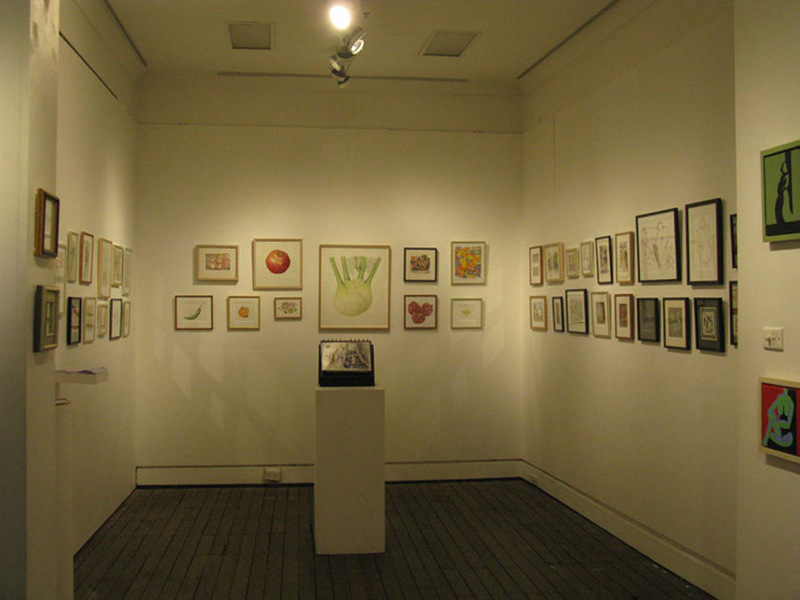 The exhibition features a diverse range of work we have both created over the last 15 years and all artwork will be for sale during the 2 weeks the exhibition is running from 25 June to 6 July 2015. The gallery hours are 10 – 6 Monday to Friday and 11 – 5 on Saturdays, closed Sundays.